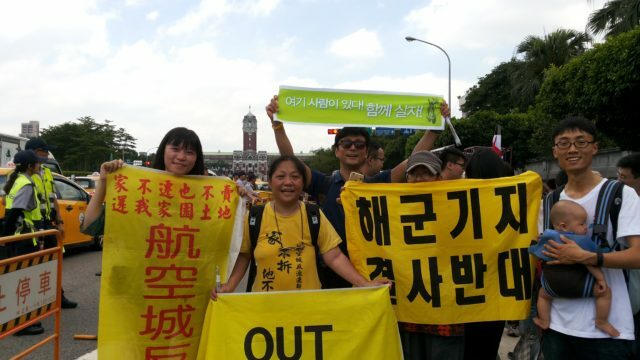 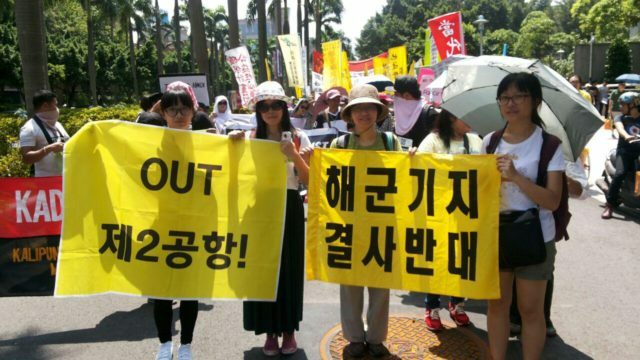 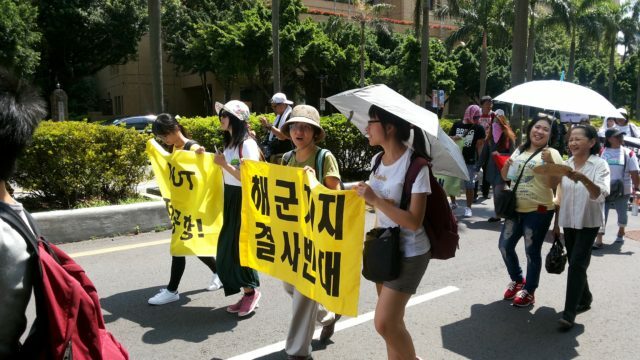 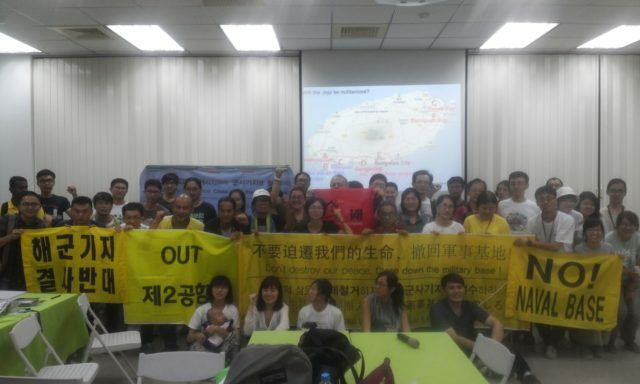 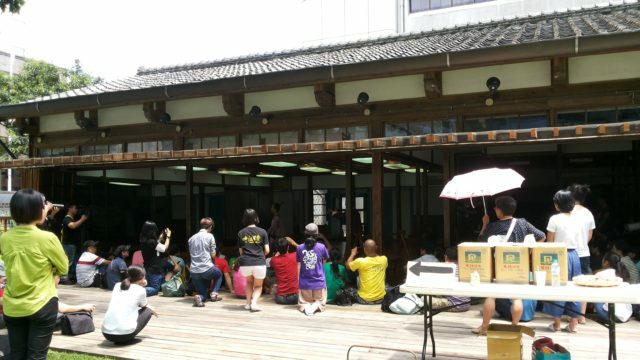 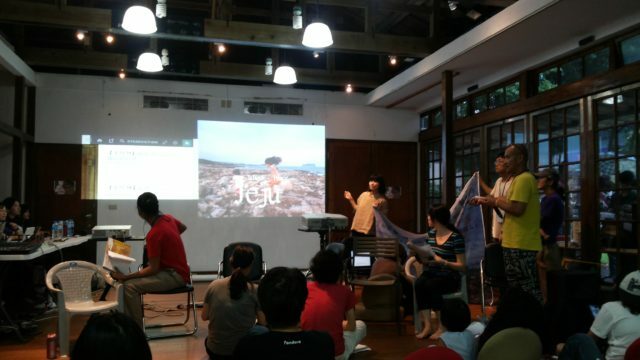 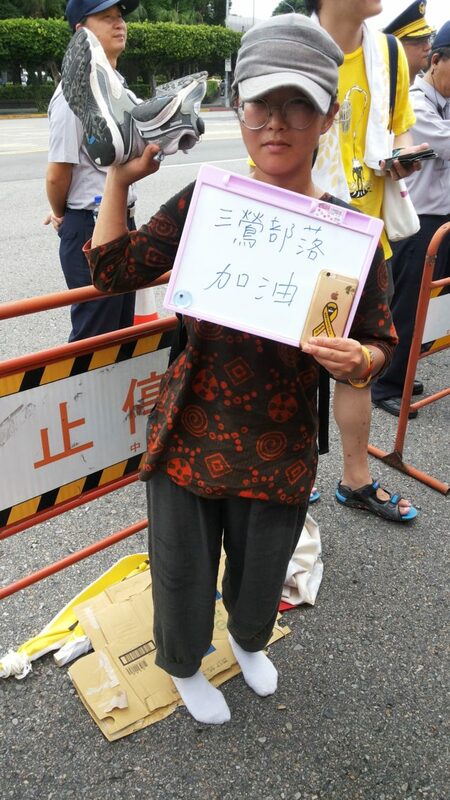 Gangjeong Anti-Naval Base Committee participated in the 2016 East Asia Tribunal of Eviction held in Taiwan from July 2nd~4th in order to attract international attention on the issue of forced eviction caused by Jeju’s militarization. 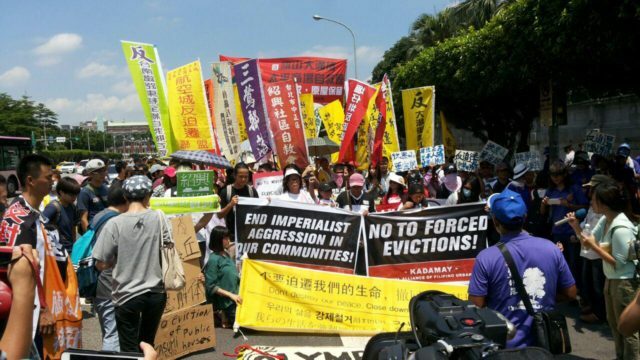 he Jury on this international trial was formed by the international jurists and lawyers of the living rights and human rights and the participating cases of forced-eviction were applied voluntarily from all around Asia. 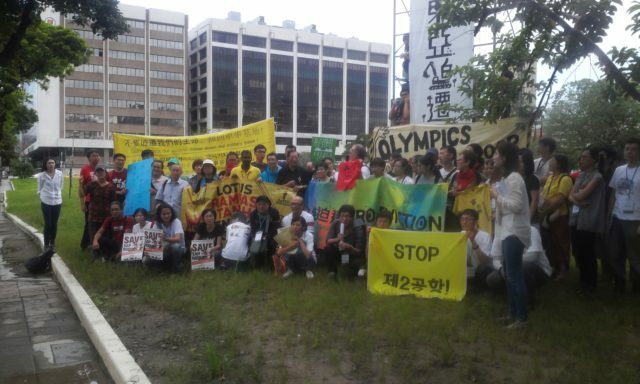 he participants from Gangjeong were not only presenting the Gangjeong case but presenting the whole picture of Jeju’s militarization historically and geographically from the Alddreu Air ield (military facility since Japanese colonization time) to Gangjeong naval base and from Gangjeong naval base to the Seongsan 2nd Airport to show how the militarization problem can never end inside a village but bring the change of all island even to the whole region. 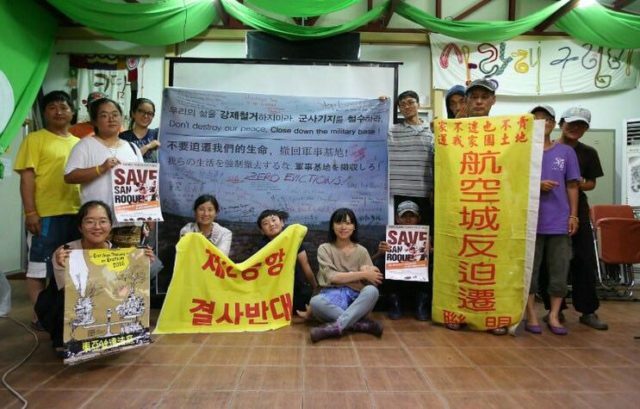 Go Gwon-Il, chairperson of Gangjeong Anti-Naval Base Committee, specially emphasized how villagers’ land got expropriation under the name of national security and also recently navy even iled a suit for the exercise of indemnity rights against villagers and activists, which are actually not diferent from the displaced people due to the development project. 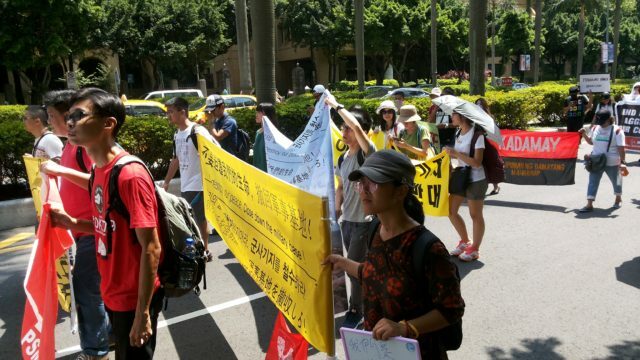 On the last day, all the local and international participants of the 2016 East Asia Tribunal of Eviction held a solidarity march in Taipei, capital city of Taiwan, walking till Taiwan’s Presidential House. 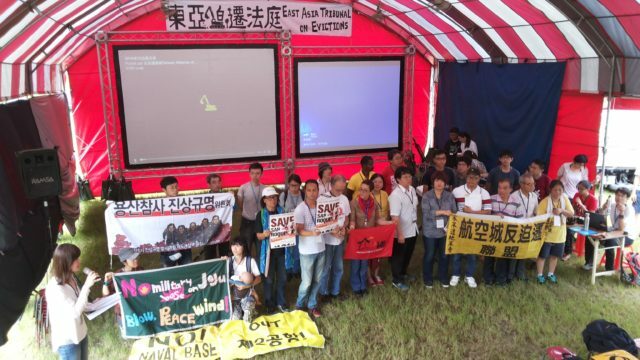 Unexpectedly, during the event, it happened that Taiwan’s navy ‘accidently’ launched a missile to the direction of China causing the death of isher men in Taiwan. 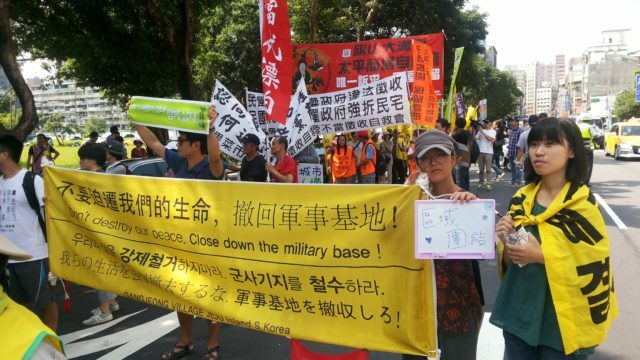 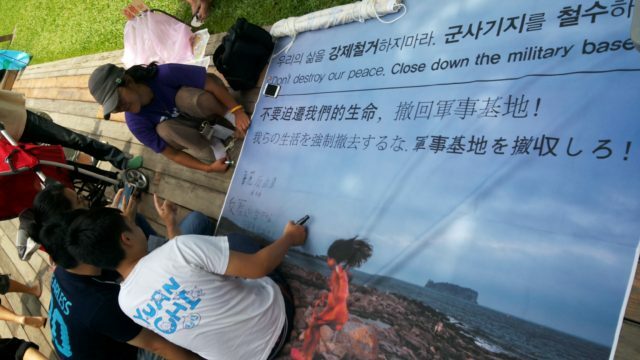 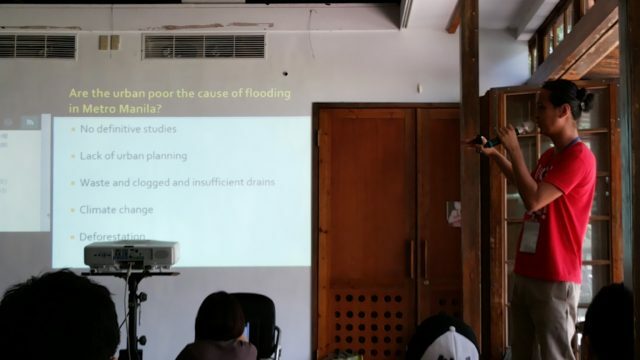 Responding to this incident, participants from Jeju expressed that it is hard to know how an ‘accident’ in Taiwan can bring the impact to Jeju naval base. 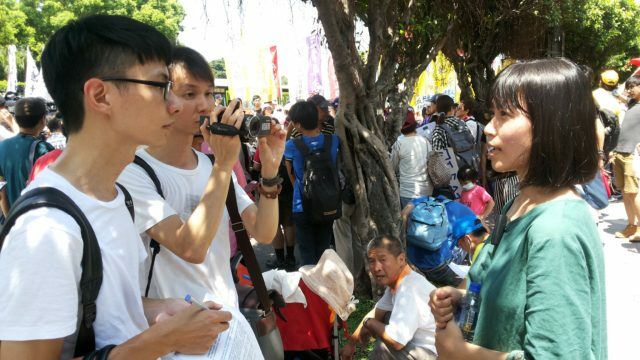 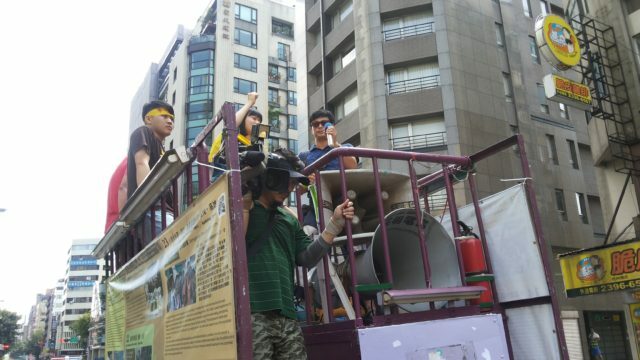 his also attracted some attention from Taiwan’s citizens and press. 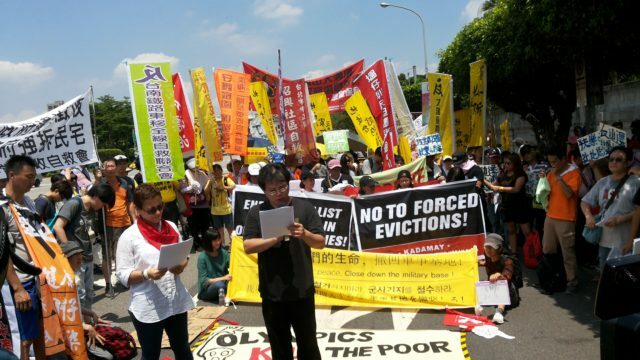 Following the regional tribunal, the 5th International Tribunal of Eviction Session will be held under the People’s Social Forum in Resistance to Habitat III (Quito, 17 to 20 October 2016) both as an essential step carried out under the World Zero Evictions Days. 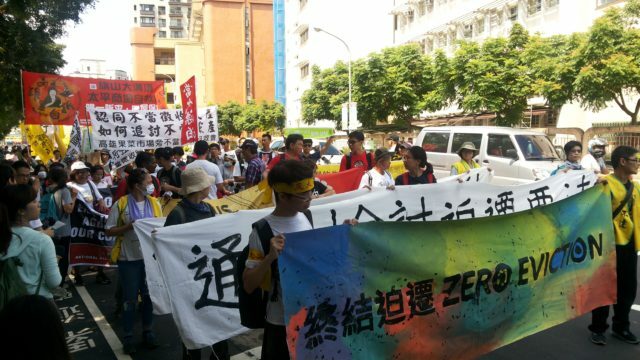 While the legal struggle against militarization seldom reached any success domestically, more international practices to a better justice system is so necessary and important to try for the international paradigm shift. 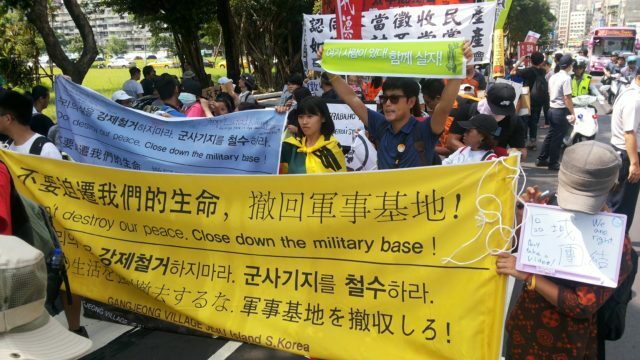 If military base is a monster we created all together, we all share a part of responsibility to restore this unjustiied and traumatized world. 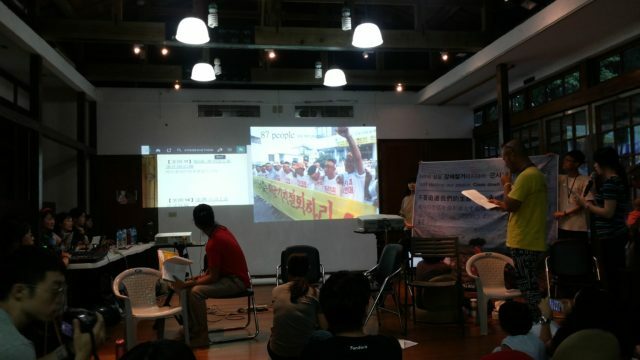 his is what motivated us to participate this people’s tribunal in the beginning.